Robert, you KNOW that is my mantra also and I usually bring my bins everywhere! Sometimes it drives my family nuts. I counted birds even when I was waiting to put my Mom on the train in New London and I saw 6 fish crows there. Then, while picking up some canolis at a bakery in Bridgeport I not only saw a red-tailed hawk in the middle of the city on some utility wires over the parking lot but I also had my camera and got a picture! Love your photos by the way, especially the 2nd robin and the Downy! @Phil - you are right about birding without optics being good for us in developing our i.d. skills. I just purchased a sketch pad and pencil set and I may try birding with it a little. @Kathiesbirds - You are a perfect example of someone that is "Always Birding". Great photos Robert - and I hear you about the cubical farm. Fortunately my office is out in the middle of farmland (I'm a distance learning/e-school teacher) so I'm able to get out on my lunch hour and do a little birding. I usually see the regulars but every now and then something interesting shows up! This would be a great game to play from my office window as well but it might take me away from that all important task of marking assignments. Nice post! That was certainly a nice break from your desk and computers. The photo of that young/female? robin is especially beautiful. All great photos Robert and I, like you, am always birding. Sometimes to distraction (just ask my wife). I feel naked without my bins but I have forgotten them a few times when switching vehicles and the like. It's not easy birding without them and I am also amazed at how many species you can see in a very short time. 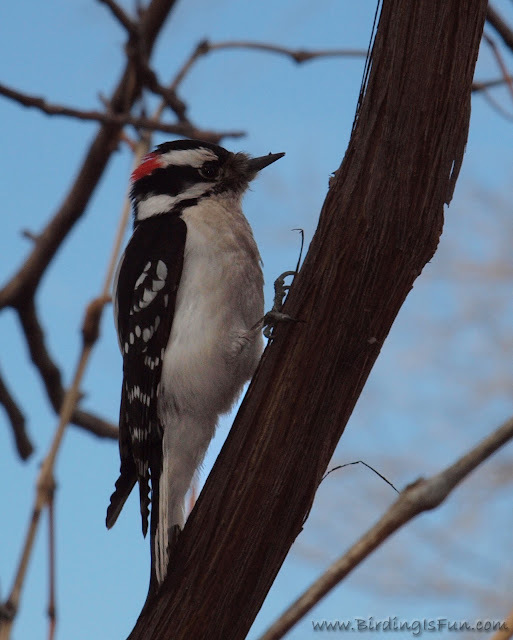 BTW the male Downy is fantastic! 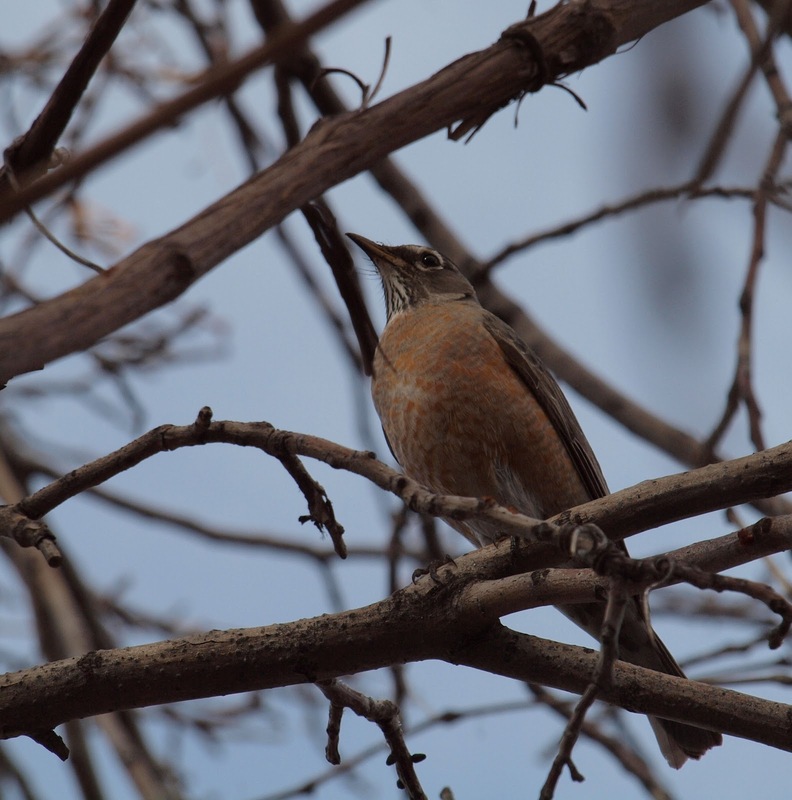 @Dave - my lunch hour birding has been enjoyable as I track the regulars and still hope for that "something interesting". I need that daily break from the high paced job and screen time. @Mick - Thanks for the nice comment. @Larry - My wife probably feels a lot like your wife! "Focus on the road Dear. It's just a bird." is commonly heard in our family minivan. that was great. And to get such good photos too. Maybe the birds did not get scared of you. I love the robins, so different from ours. 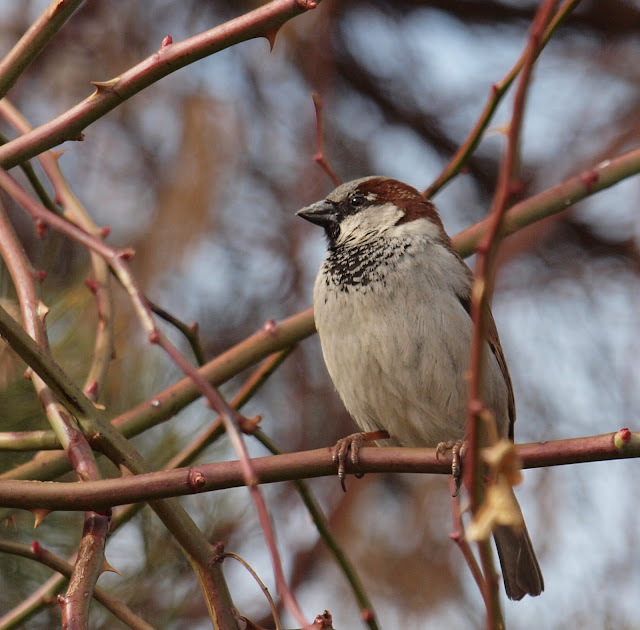 I'm still relatively new to birding, but even my friends and family are starting to get tired of me following birds around any time I see one.